As we rapidly approach Christmas (one week! ), I thought a post about last-minute gifts for the readers on your list might be helpful. And so, I present my top picks for the season! These hardcover beauties are number one on my list for obvious reasons. Illustrator Jim Kay has brought the magical world of J.K. Rowling to life in these illustrated editions. They have released one book a year since 2015, so only the first three books (The Sorcerer’s Stone, The Chamber of Secrets, and The Prisoner of Azkaban) are available. Prices have gone up on Amazon, but I have also seen them at Costco for about half-price! Continuing with the Harry Potter themed gifts, I present Cards Against Muggles, a spin-off of the popular game Cards Against Humanity. At $79.95, this is a pricey gift for the muggle in your life, but quite possibly the best gift to put under their tree. This is an authentic recreation of Hermione’s time turner from The Noble Collection. A beautiful gift for the Hermione in your life. $49.00 on Amazon. I cannot go on about this set enough. I got this last year from my hubby and it is my favorite set of any books I own. And at $31.46 at Barnes & Noble, this leatherette-cover set is a steal! 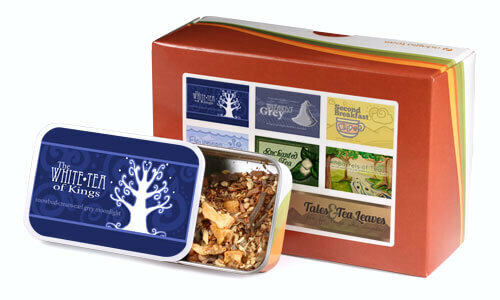 This loose-leaf tea sampler set comes with six different LOTR inspired brews: The White Tea of Kings, Wizard’s Grey, Second Breakfast, Elevenses, Enchanted Tea, and Barrels of Tea. I absolutely love this loose-leaf collection! It’s perfect for your all-day marathons. Can you tell that I’m obsessed with LOTR yet? Last but not least for your fans of Tolkien, this wooden clock is a fun addition to your kitchen, and $42.00 on Amazon. This is another gorgeous set of books, much like the Lord of the Rings set above. Amazon has this for $57.69. The only drawback in my opinion would be that the series is not yet finished, and I prefer to have complete collections of series, especially collectible editions like this. From $199.99 on Amazon, these babies are a little bit on the expensive side, but they are sure to make a statement on your bookshelf. I was lucky enough to get these for Christmas last year, and it is such a fun way to display your editions of A Song of Ice and Fire. This fun literary scarf goes for $48.00 at Storiarts. They have lots of other options, too, including Jane Austen, Sherlock Holmes, and Shakespeare. In addition to scarves, they also sell coordinating gloves and headbands! I hope you enjoyed this holiday gift guide for the readers in your life. Happy Holidays!